This week it's ......(*drumroll* please)....my blog's first birthday! woohooo..I am so excited! It's been one whole year of blogging - non stop blogging for 365 days! And to celebrate this occasion I am going to post non-stop this week :) how about that?! 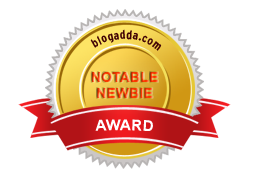 The theme will be the seven most 'zingy' posts in each category I blogged for one whole year. 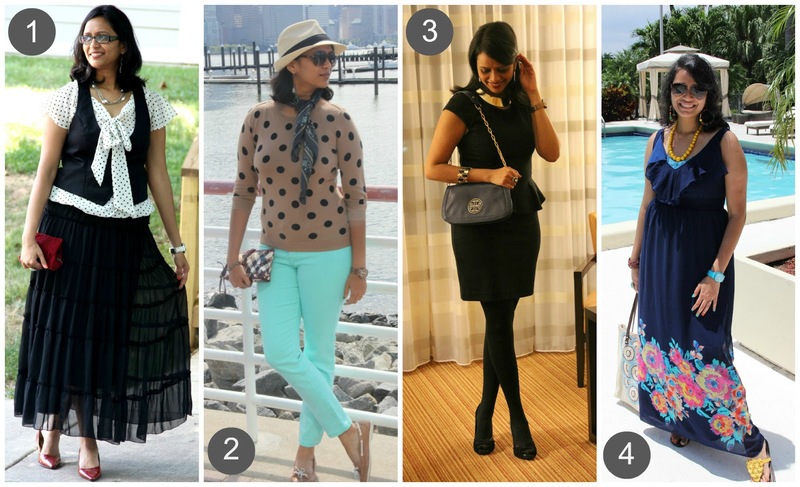 So without much ado, I bring you today the seven 'zingy' fashionista moments from past year! (weird concoction of words, right! But hey, who cares, it's my blog's birthday :) ) I have based my choices on the 'fashion' risks I took last year. Tried on a maxi dress, paired a kundan/Indian necklace with a lace dress, gave the peplum flair a shot and last but not the least incorporated a vibrant pop of color with a coral blazer. So, ladies (and any gentlemen reading my blog), go ahead, take your pick! Psst..if you feel one pic is not enough to decide, hop on over to the individual posts linked to the numbers below. So, tell me, which one you think has got the zing ? Drop your choice in the comments below or on Facebook or Twitter! Let the revelries begin! P.S. : Unknowingly or knowingly, the 'zingy' moments seemed to have revolved around black and why not?! It's so flattering on me...right! right? My personal favorite among these are 2nd and 3rd...BTW, Happy Birthday to your blog..where is the cake..? A big congratulations to you girl! I know the happy feeling of completing one year! LOL. 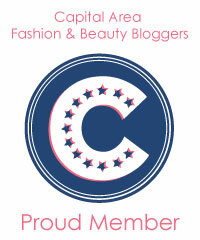 Happy Blogaversary!!! Look #2 is my absolute fave-- so chic and fabulous! Happy Blog Birthday! :) My favorites are 5 for sure, you look so very beautiful in it (its a classic) and then 3, because you can rock the peplum, something I will never ever wear (it looks unflattering on me). Wishing you a wonderful week!! While you indeed look fabulous in black, you look equally good in colors too and the color crazy girl in me picked your two colorful looks- No. 2 and 4!! Congrats babes ! I love the whole idea of blogging non stop.. My best Zingy picks would be 3,6,7. I love,love that look with that coral blazer.. Happy birthday to your blog!!! All your looks are great...but I'm totally in love with zingy look #3. It's just so classic! Also love the coral blazer in #6! Loved all your outfits & style takes - specially the mint pants, maxi dress & coral blazer! !